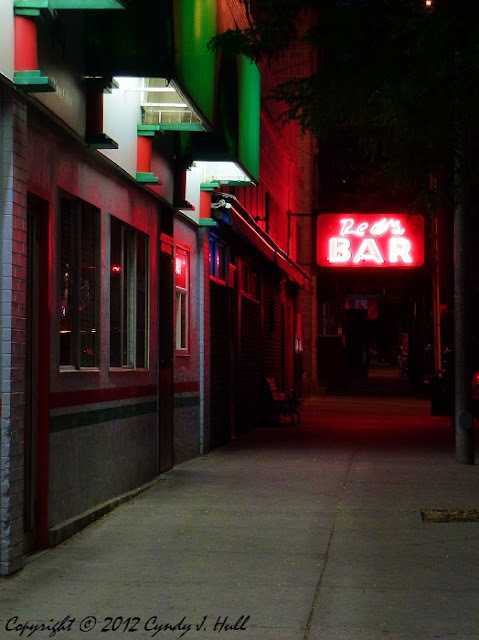 Missoula, Montana, still has a lot of areas - including downtown, & even near Red's Bar - where you can safely walk in the evening - & also take random photos. Of course, let me qualify - since my big sisters are (better be?) reading this - that I only sometimes do this by myself, & then only in the early evening, in high trafficked, well-lighted areas. how beautiful and artistic... very good catch ! Thanks, Andrei! Wish there had been a few people walking about to add movement, but it still was a happy shot. Hi Cyndy- Do you sell your prints anywhere or have a website?